over the phone or via email for any reason. Twinrix is intermittantly available in limited quantities on a first-come, first-served bases through the clinic. Twinrix Junior is available in limited quantities on a first-come, first-served bases through the clinic. Shingrix available in limited quantities on a first-come, first-served bases through the clinic. Other shortages may periodically occur. Unfortunately, many of these products have limited suppliers and may not be available from alternative sources. Please note that the Thunder Bay District Health Unit Travel Vaccine Program also has severe shortages. This represents our total Quarter 2 2019 allocation. We will receive no more Yellow Fever Vaccine for Jan-Mar 2019, with next expected allocation being April or May 2019. Yellow fever vaccine must be provided by a clinician who is designated under the Yellow Fever Vaccination Program to provide this vaccine. The yellow fever vaccination cannot be dispensed even with a prescription from a provider who is not designated by the YFVP to do so. You must present in person with your passport in order to receive this vaccine, when available, and to receive a copy of the Certification of Vaccination required for immigation purposes. Prepare for take-off with Janzen’s Travel Health Clinics! Whether you’re travelling for business or pleasure, our team offers complete pre-travel health advice and vaccinations specific to your needs and destination. Visits are walk-in only, and are first come / first served. We do not provide telemedicine consultations or recommendations at this time. We recommend visiting our centres (or any travel health clinic) a minimum of six weeks prior to travel. Janzen's Travel Health and Vaccine Clinic will not administer vaccines or injections obtained at other providers or pharmacies due to concerns of appropriate storage and handling. We are able to hold additional doses of vaccines to be administered in the future, however it is the client's responsibility to ensure they present for any recommended follow up. Our standard consultation fee is $30.00 for individuals, and $60.00 for families of 3 or more (plus HST). OHIP does not fund travel medicine or travel vaccination, and we cannot direct-bill insurance plans for the consultation fee, only prescribed medications/vaccinations. We will provide an invoice for the consultation fee to provide to your private health plan for reimbursement. Ensure you bring your health / drug benefit information so we may attempt to put the vaccinations or medications through your benefit plan. 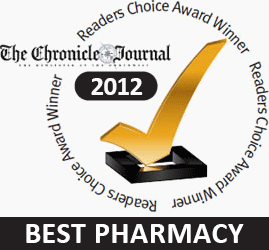 Clients will receive pricing on vaccinations and medications prior to filling. Clients are under no obligation to have those medications or vaccinations filled. What to Bring to Your Visit? The Travel Health & Vaccine Clinic will also perform non-medically necessary Tuberculin Skin Testing ('TB Skin Tests') for education or employment purposes at our clinics. The Ontario Health Insurance Plan (OHIP) does not cover the cost of TB Skin Testing for employment or seniors assisted living home placement. TB Skin tests must be read 48-72 hours after administration. Please note that we are unable to administer TB Skin Tests at the clinics on Thursdays in addition to Fridays preceeding a holiday Monday. There is a $50.00 + HST fee for this service. A two step TB Skin Test will be billed for each individual test at the time of injection. There is a separate charge for each TB Skin Test in a 2-step TB Skin Test. Effective Jan 30st, 2017 TB skin testing for the purposes of education is insured under the Ontario Health Insurance Plan. However, as our clinic is not funded under OHIP; we will be continuing to charge for providing TB Skin Testing for students (as we are not using publicly funder Tubersol/TB Skin Test Serum). Please note that in addition to being listed here, this is also identified in the consent form for TB skin testing that all clients must complete, and as such we will not provide refunds to clients who are unaware of this policy. All students are encouraged to contact their primary care provider (family doctor, nurse practitioner or clinic) to determine if they are able to accomodate them for TB skin tests. We are awaiting word from our local public health unit if we can receive publicly funded TB serum; at which time we may revisit this policy. Please note that at this time we do not provide over the phone travel medicine consultations for any reason. Similar to how you cannot phone a walk-in clinic requesting a prescription for antibiotics for a cough, pre-travel consultations are individualized assessments to determine your risk of contracting possible life-threatening conditions on your trip. During consultations there may be discussions of your current health history; including medications, allegies, health conditions and other information, that may directly impact the safety of our clients. It is our responsibily to ensure that you make an informed decision regarding possible risks and benefits of any treatment, including vaccination. To ensure that costs are reasonable and to avoid financial barriers to receiving pre-travel preventative care, we have set our costs at or below the costs of the alternative local travel clinic. Although the Travel Health & Vaccination Clinic is located within Janzen's Pharmacy; pharmacy staff cannot give medical recommendations over the phone. We will accept emails for general information, such as clinic hours or locations.